Many years ago I was a software engineer and my last project was control room safety systems for British nuclear power stations. As the project manager I tried to become as informed as possible about the background to industrial accidents. This largely involved learning about the psychology of chains of events and decisions taken by operators of large industrial plants like nuclear generators which resulted in tragic accidents. The key to accident prevention is breaking the chains of events that are common paths to accidents. At the outset I focused on the technical and operation issues that lead to accidents such as the Piper Alpha oil and gas rig when over 150 of the crew died. The disaster was investigated and reported on by a judge published as the Cullen report. It focused on the technical and operational details of the case and described in detail how the accident happened and what the consequences were. Interestingly it did not look really closely at the management contribution to the accident or question the context or contribution of commercial pressures involved. Many years later I read into the Challenger space shuttle accident and the report on it by a Presidential Commission which did look closely at management culture and its contribution to the loss of the shuttle. What has this got to do with action on climate change then? Well there are interesting and I believe useful parallels here. An understanding of which may help us be more realistic and abandon false hopes that the “elites” are going to act appropriately. 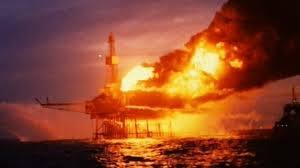 Take the case of Piper Alpha an oil and gas rig in 1988 which was a hub for other rigs to pipe oil and gas to. Piper A then compressed and mixed the oil and gas into a shore bound pipeline. The accident occurred towards the end of a very substantial maintenance overhaul when a gas pump was attempted to be used that had an output safety valve removed for overhaul. High pressure gas leaked out from an incorrectly done up blanking plate and ignited. This blew out a wall to the next door oil pumping unit causing damage and began a larger fire. The fire grew and burned away the top of the rig. The report looked at the detail of how these operator events happened but did not so much ask the question of why the rig was still in partial operation in the midst of a major overhaul. After I had read the report the situation it described seemed analogous to driving a car at 70 miles an hour down the motorway and having someone carry out some major servicing, and in order to facilitate doing this “safely” you slow down to 60 miles an hour. Obviously that would be barmy you would find somewhere to park and stop the engine. The management of the oil rig seemed to me to have acted unbelievably irresponsibly, were the root cause of 167 deaths and the total loss of the rig. The reason apparently was so that the company could continue to make profit from the operation. I always thought it odd that it was the ordinary bloke who probably did not do up the blanking plates bolts properly that was blamed and the management were not properly criticized (that was my opinion anyway). The bloke that got the blame perished in the fire, the manager who decided the rig should still function through the overhaul was safe onshore. 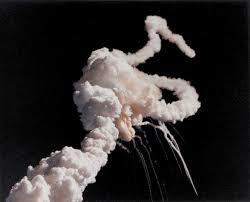 Then there was the Challenger accident in the mid 80’s when 7 people died and the subsequent investigation certainly did criticize the management culture for its major failings. It seems like another accident that should not have happened and was not prevented because of outright bad management. The problems that caused the accident were known about. A tokenistic “task force” had been set up to solve the problem. There were six launches where the management effectively ignored the problem and waived the safety issue in spite of its own rules. The seventh time this gamble cost seven lives. Being NASA they even came up with a term “go fever” to describe it. When you look now at the climate destabilisation problem and the governmental and social leadership response it seems like the same irresponsible, cavalier attitude. So what can be done about it because it seems like us ordinary people are in the exact same situation as were caring and concerned engineers who worked for NASA and its contractors or the oil company? We are ignored and fobbed off or sidelined. When you look at the obvious measures any sensible government would take in the face of such an impending problem it is not happening. All around us people are allowed to go out and cause unnecessary and avoidable green house gas emissions. I know I have said this before but look at gardens: petrol strimmers, hedge cutters and mowers etc. In its total this is significant and a real indicator that the issue is being ignored… Then we could look at modern farming or unnecessary consumption. Or take cars, when the car industry was in trouble because of the financial crash the government rushes in with subsidies. Now the oil industry is in trouble the government…. rushes in with subsidies. It is obvious that the climate problem is not being taken seriously. The governments and the elite are focussed on economic growth. More GDP more tax revenue higher stock and share values leading to more GDP growth etc. This is “growth fever”. The idea that you will be able to effectively address this problem from within is kidding yourself. You will be part of the problem or maybe almost neutral at best. You have to find ways to walk away from participating, organise and co-operate with others, build an alternative economy, protest and shame the elite for its irresponsible lack of action and persuade others to join you. Well if you cannot do that yourself immediately you can still help organise, participate and support people who are trying to be sensible. Being sensible means being “un-economic” and people will find that they will have to be prepared to go hungry and suffer privations. They need all the help they can get. Previous PostThis Bandwagon Changes EverythingNext PostWho was the Buddha really?